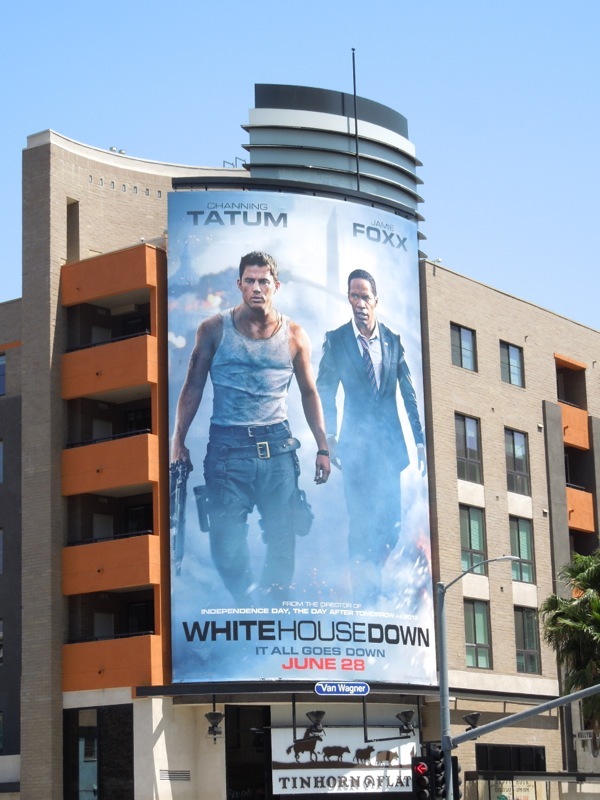 New dad Channing Tatum continues to have another great year, and this Summer sees him go all Die Hard in his new Washington D.C. under siege action movie, White House Down. 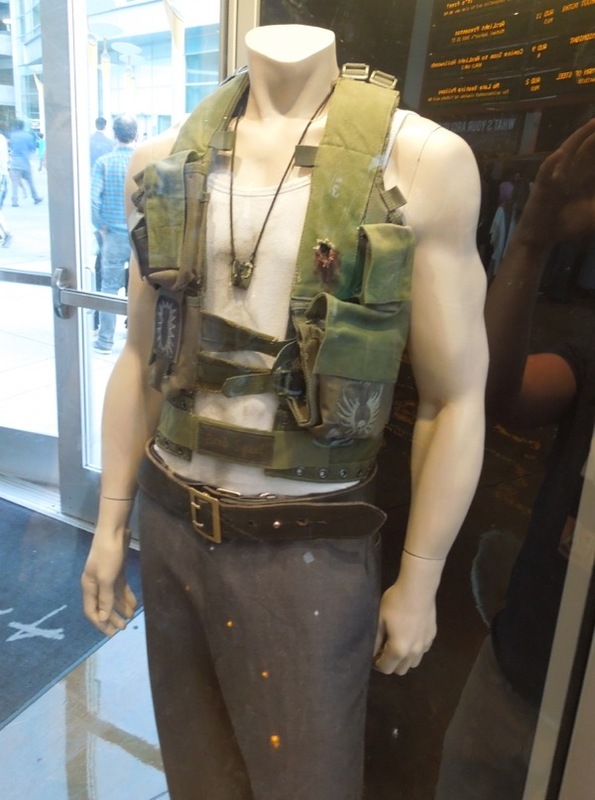 Lisy Christl is Costume Designer on the film and this display for Roland Emmerich's explosive new action-thriller was photographed within ArcLight Hollywood's cinema foyer on June 16, 2013. 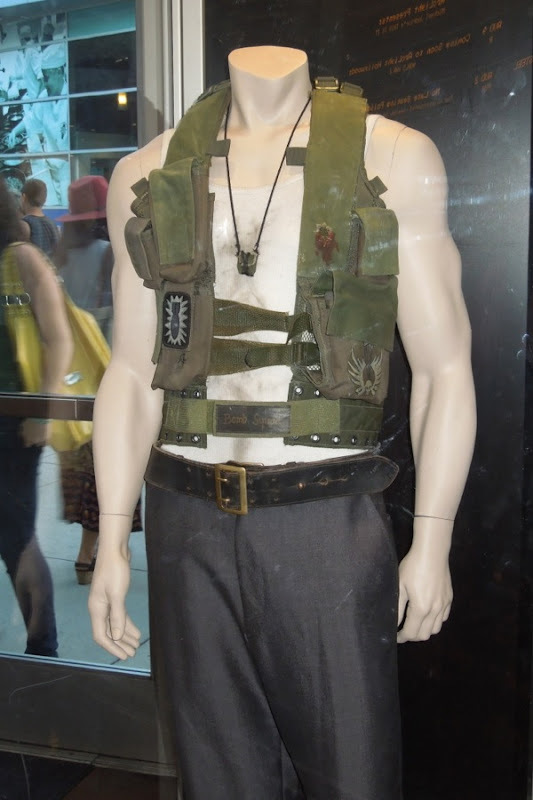 Channing Tatum's U.S. Capitol Police Officer 'John Cale' has just been interviewed and denied his dream job of joining the Secret Service when the White House comes under attack by a heavily-armed paramilitary group. 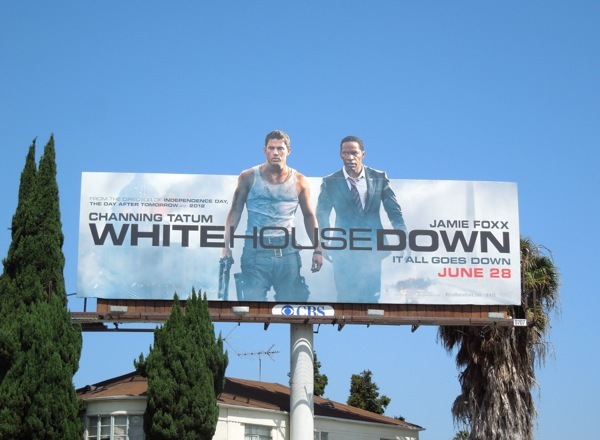 Not only must he rescue Jamie Foxx's 'U.S. 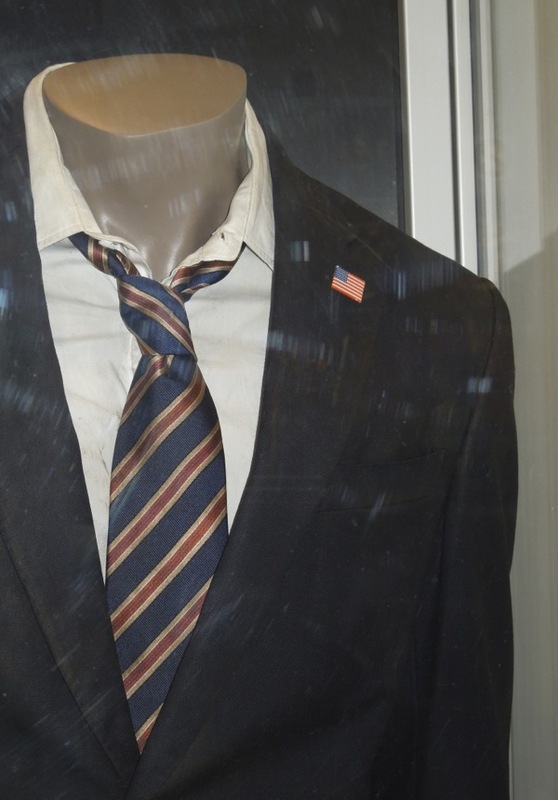 President James Sawyer', but he also has to keep his daughter safe from the terrorists too. 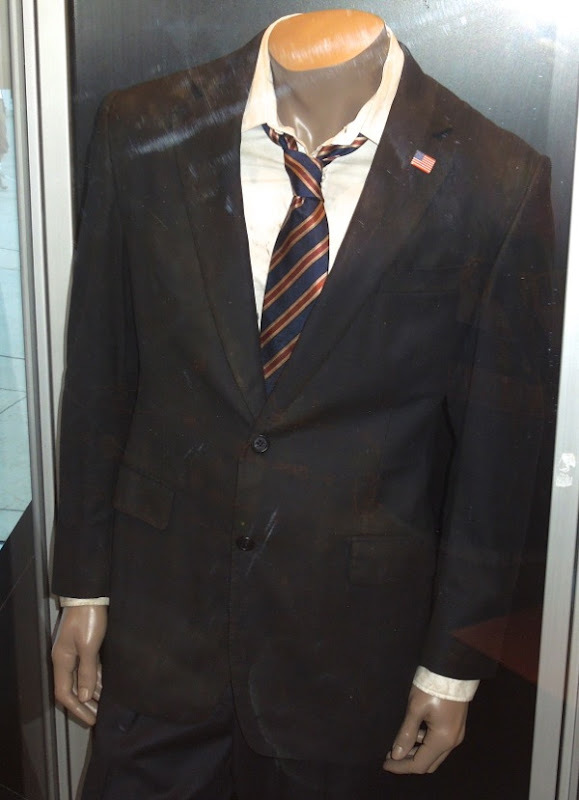 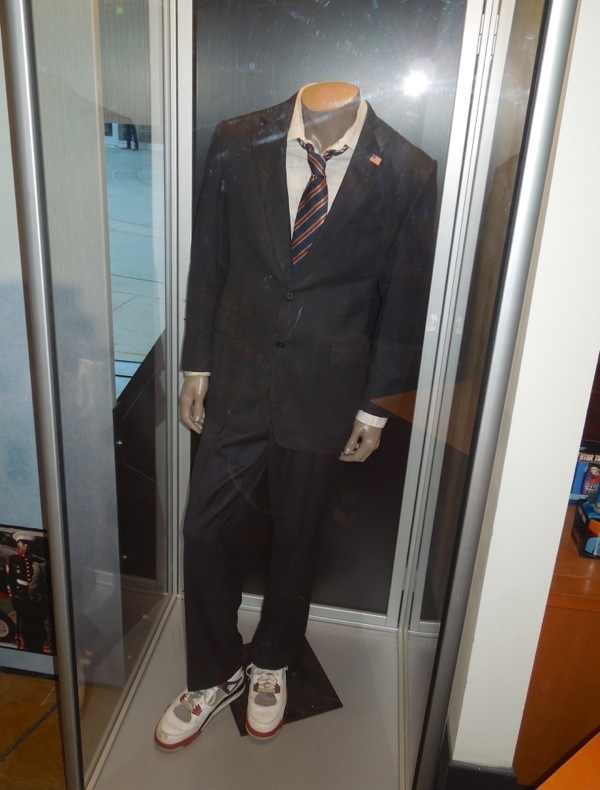 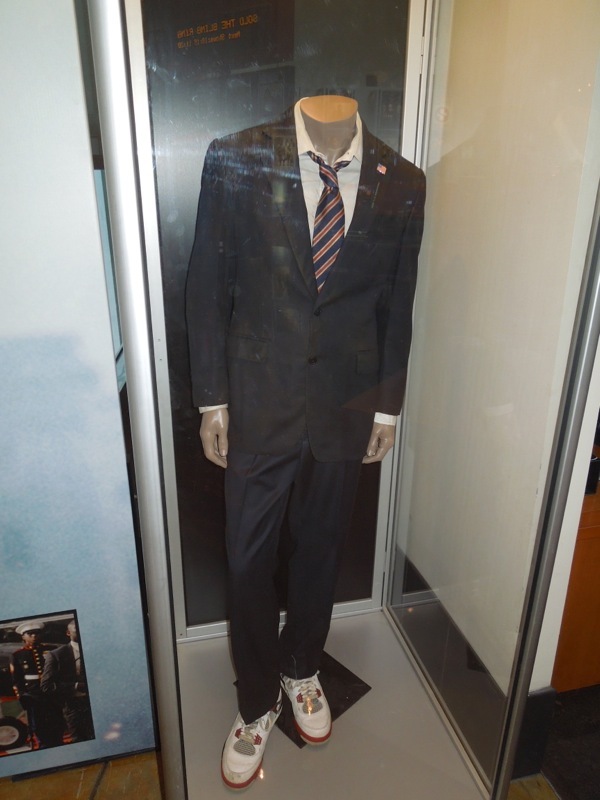 In addition to Channing Tatum's blood-stained, bullet-ridden vest, you'll also notice the unorthodox sneakers worn by Jamie Foxx's President, no doubt all the better for running from the White House invaders. 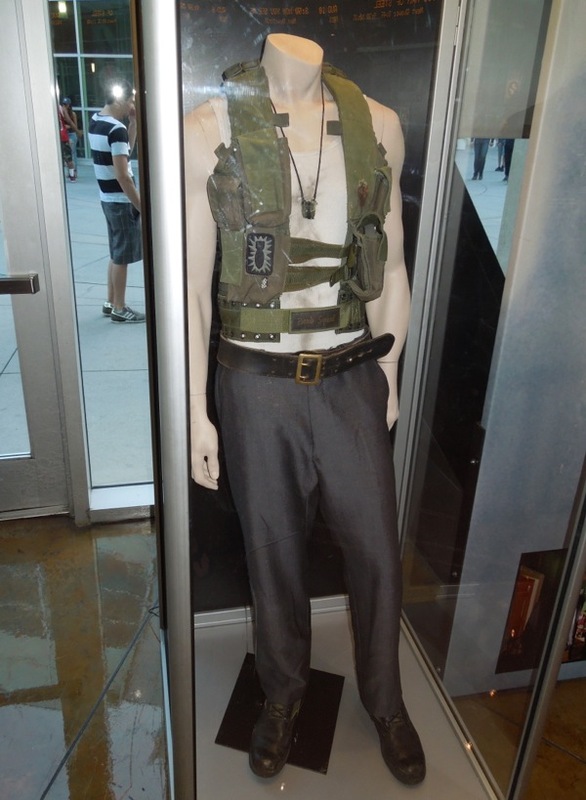 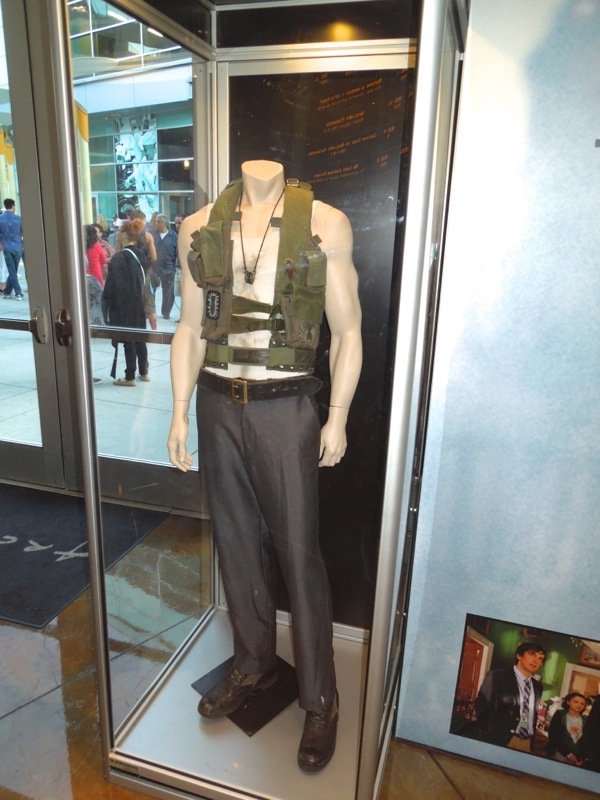 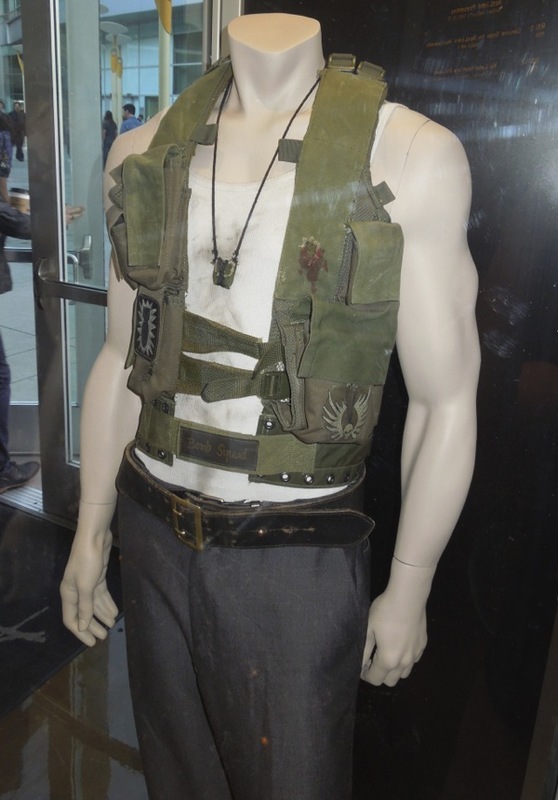 If you're a fan of the actor, be sure to also take a look at Channing Tatum's Roman Centurion costumes from The Eagle on display. 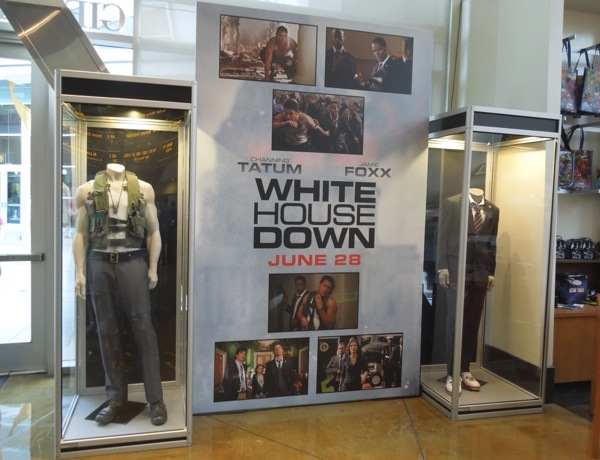 Only time will tell if White House Down can beat this Spring's similarly themed Olympus Has Fallen, starring Gerard Butler, at the box office.